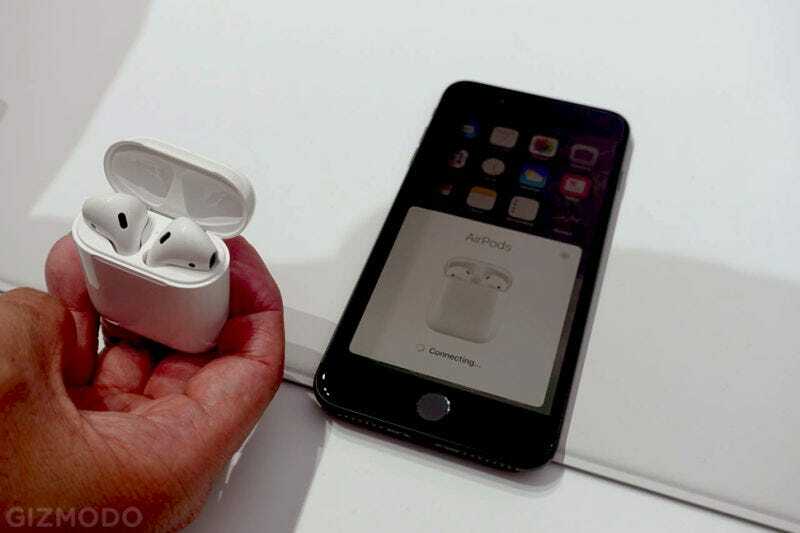 Apple’s AirPods have been plagued by delays after they were announced alongside the iPhone 7 earlier this year, and now we might finally know exactly why. A new report in the Wall Street Journal says that Apple engineers are still struggling to make the product ready for mass production, citing a sync issue and a microphone issue. The report cites a single anonymous source: a “person familiar with their development” Otherwise, details are thin. This is definitely not a bulletproof case for why AirPods are delayed, but again, it’s really the most detailed explanation of the situation we’ve seen. When Gizmodo reviewed AirPods earlier this year, we found they work pretty well. But that may just be a case of prototypes built to be perfect, and Apple encountering problems when they moved towards mass production. In truth, the delay could be caused by anything, given Apple’s tradition of secrecy as a company. We’ve reached out to Apple and will update this post if we hear back.